As Mistress Day approaches, a warning is being issued to wives and girlfriends by infidelity expert Ruth Houston as part of her Annual Valentine's Day Infidelity Awareness Campaign which is now in it's 14th year. "The day before Valentine's Day is when cheating husbands usually celebrate with their mistresses since Valentine's Day is reserved for their wife. This also holds true for single men with more than one girlfriend. The one he plans to see on Mistress Day is the 'sidepiece,' but he spends Valentine's Day with #1." "I'm issuing this Mistress Day alert as a service to wives and girlfriends because Feb 13 is just around the corner and women need to know what to do. If they know what's going to take place they can keep a watchful eye on their mate. I've posted an article on my Infidelity Advice blog describing what usually takes place on Mistress Day so women can decide whether or not they want to catch the cheater with his mistress or sabotage his plans. See What Cheaters Everywhere Will Be Doing on Mistress Day Feb. 13. If they decide to sabotage the cheater's plans, there will be a second article with details telling them exactly what to do." These articles are part of the Valentine's Day infidelity series on Ruth Houston's Infidelity Advice blog. Other articles will cover what clues to look for between February 13 – 15, and how flowers, jewelry, and certain types of behavior can expose a cheating Valentine. 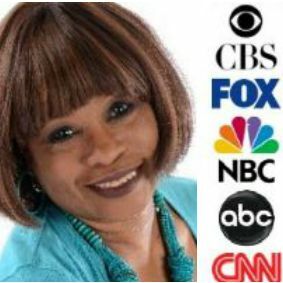 Check Ruth Houston's Infidelity Advice blog frequently over the next 2 days to keep from missing any of this valuable advice.